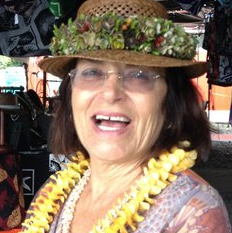 Kauai’s tropical climate draws visitors from all over the world who travel to experience the Garden Isle’s beauty. Unfortunately, Kauai also attracts unwelcome guests: landscape pests that can cause costly damage unless they are identified early and managed with diligence. Knowing about these insects is half the battle. That’s why at No Ka Oi, we strongly believe in educating our team and clients to help them understand how to spot these landscape pests, and what treatment measures can be implemented to keep their plants and turf healthy. 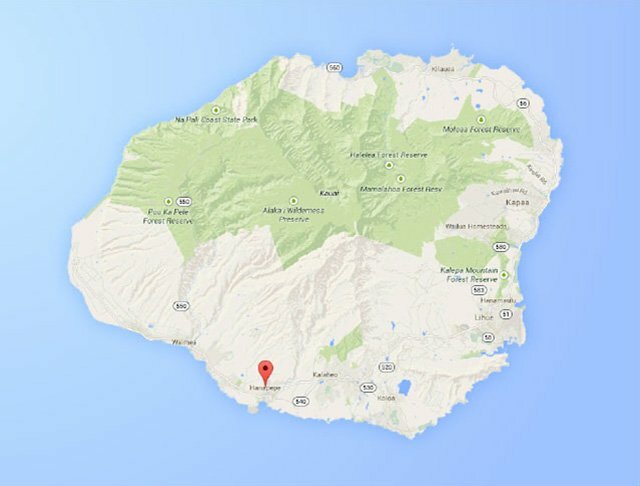 We also keep an eye on landscape pests that are a problem on neighboring islands, such as Oahu, so we can be prepared in case the pest “travels” to Kauai. Landscape pests can be introduced through ornamental plants, shipping cargo, agricultural trade and even well meaning travelers who don’t realize they’re carrying an extra “passenger” along with them. And, these pests can have a real, negative economic impact on agriculture and tourism. Here’s what you need to know about four damaging commercial landscape pests we’re targeting on Kauai. Identification: The bougainvillea looper caterpillar is a small but mighty hungry inchworm that prefers the foliage of bougainvillea plants and plants in the Nyctaginaceae family like the four-o’clock. The caterpillars are about one inch in size. They fly at night and land on foliage; then lay eggs on the undersides of leaves. At their earliest stage, bougainvillea loopers are winged moths. So, if you spot moths, you can bet that loopers and larvae are soon to come. Damage: These loopers like to feed at night, so often the pest is identified by the damage it leaves behind: scalloped foliage (from feeding) or loss of leaves. They tend to feed on the edges of leaves. While they don’t harm the plant’s health, they can completely defoliate it if not controlled. Prevention: The best prevention of bougainvillea looper caterpillar damage is early detection—while the moths are swarming. Certain insecticides can protect the plant without harming beneficial insects like parasitic, mud and paper wasps. Treatment: Neem-based biological insecticides and bacillus thuringiensis (known as BT or Dipel®) can control bougainvillea loopers. Also, spinosad can be applied to the soil at the base of the plant. Identification: The important thing is to differentiate little fire ant from its lookalike, the tropical fire ant. Little fire ant is a tiny ant 1/16 inch in size and pale orange in color. It’s a slow-moving pest that is not quick to sting, but will if trapped underneath clothing. Little fire ants burrow into places like container plants, flower beds, grass tufts and leaf debris. They can creep into buildings, too. If you suspect little fire ants, try this peanut butter test: Dip a chopstick into peanut butter and stake it into the soil where you suspect an infestation. Once you collect ants, bag the chopstick (with ants), freeze, and take to CTAHR for identification. Damage: Little fire ants burrow into places like container plants, flower beds, grass tufts and leaf debris. They can creep into buildings, too. They can be harmful to people and pets because their sting causes welts that can last for days. Prevention: We recommend frequent site visits from a landscape professional who can serve as the eyes on your commercial property, keeping a lookout for potentially harmful landscape pests like little fire ant. Also, be sure to keep your property clean and free of “green waste” that can attract little fire ant. At No Ka Oi, our nursery is certified little fire ant (LFA) free, so our commercial clients know that the plants we install have not been infested with the pest. Proper integrated pest management (IPM) practices involve monitoring for landscape pests like little fire ant. Treatment: If a little fire ant infestation is identified, the State Pest Hotline should be contacted so the Hawaii Department of Agriculture can confirm the identification. A professional landscape or pest control company should be contacted to help with eradication. They grow up to 6 inches long, and munch on plants only—mainly coconut and oil palms, but they can attack other palm species. While we have not yet spotted rhinoceros beetle on Kauai, it is on Oahu. Our No Ka Oi team is educated about how to identify the pest. Damage: Rhinoceros beetles bore into the palm crown, cutting through developing leaves. So when these leaves grow out and unfold, the damage is evident: V-shaped cuts in the fronds, or holds through the midrib. Prevention: To control rhinoceros beetles, you can destroy their breeding areas and physically remove the pest. Be careful to remove fallen or removed coconuts from the site. If they begin to decay, they could become a welcome breeding ground for rhinoceros beetle. Other sites include decaying logs and stumps, piles of dead leaves and compost. Treatment: Disease can be a good thing when it comes to treating rhinoceros beetles. Some use fungus Metarhizium anisopliae or the Oryctes virus to control the palm pest. And, a hooked wire might be used to reach up into palm crowns and remove feeding beetles. Identification: This small, nocturnal frog is about the size of a quarter (up to 2 inches long) and is brown or gray-brown in color. Sometimes it has a lighter stripe down its back. You’ll know the male from its call: “co-qui” (ko-kee). Damage: These frogs consume large quantities of insects, which reduces pollination and disrupts nature’s balance. Plus, their loud calls are annoying (impacting the tourist experience, to be sure). Coqui frogs have actually reduced property values in some locations because of requirements to note the presence of this landscape pest in real estate disclosures. The coqui is in the frog order Anura and considered an injurious species, so they cannot be released into the wild, transported or exported. Prevention: The coqui frog is not currently found on Kauai, but the risk is real because of its prevalence on neighboring islands like The Big Island, Oahu and Maui. There are no known natural predators to naturally “manage” coqui frogs. Treatment: A solution of 16% citric acid has proven 97% effective in decreasing coqui frog egg viability, according to a study by The Hawaii Department of Agriculture (HDOA). The USDA APHIS Wildlife Services, National Wildlife Research Center and HDOA in Hilo conducted tests showing that 16% citric acid solution killed nearly 100% of coqui frogs upon direct contact. At No Ka Oi, we believe that education is one of the best defenses against damaging landscape pests, and our team can identify, prevent and treat pest problems on your commercial property. 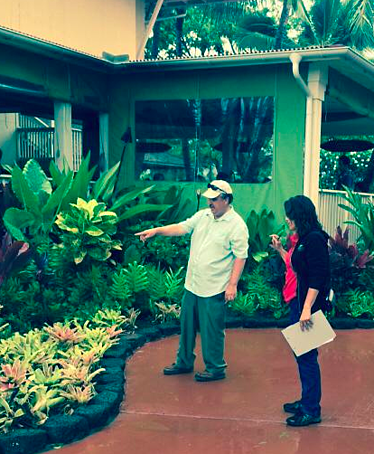 We are constantly monitoring the Kauai properties we serve for potential pests and disease concerns. It takes diligence, a trained eye and field experience to maintain a pest-free landscape. 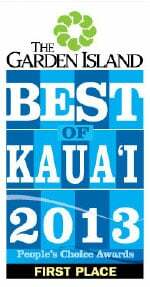 Let’s talk more about how No Ka Oi protects clients’ properties against Kauai’s most unwanted pests. We’ll share more about our certified LFA-free nursery—just one way we are committed to keeping damaging pests off Kauai. Call us any time at 808.335.5887, or fill out this simple contact form and we’ll get in touch with you.